The Stand. 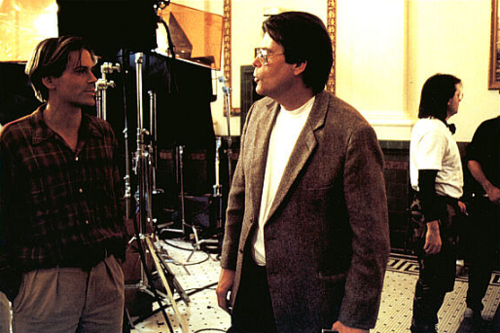 Stephen King and Rob Lowe on the set of "The Stand". Wallpaper and background images in the Stephen King club tagged: stephen king rob lowe the stand. This Stephen King photo might contain スーツ and ビジネス スーツ.